Do you love to hike, camp, kayak, or fish around Southern California and Idaho — no matter the season? If so, you’ll love a new Outdoors RV! You can enjoy your favorite all-season adventures from an RV with all the comforts of home. Outdoors RVs are available in Black Rock, Black Stone, Creekside, Glacier Peak, Mountain Trail, and Timber Ridge models. Our locations in Boise, ID and Westminster, CA offer a total of 91 new Outdoors RVs for sale. Check out our inventory below, then contact us with any questions about which model is right for you! Height: 10 ft. 7 in. Height: 10 ft. 11 in. Shop New Outdoors RVs Near Los Angeles, CA or Meridian, ID! 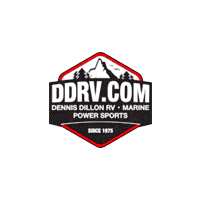 Our wide selection of new recreational vehicles for sale makes it easy and exciting for Twin Falls, ID and Nampa, ID shoppers to find the perfect solution for their travels. We’re always offering opportunities to save on RVs from brands like Outdoors RV! While you’re here, be sure to check out our new RV specials. Shopping for a pre-owned model? We’re proud to offer an ever-changing array of used RV specials as well. When you’re ready, take a moment to complete our online credit application to get the process started.